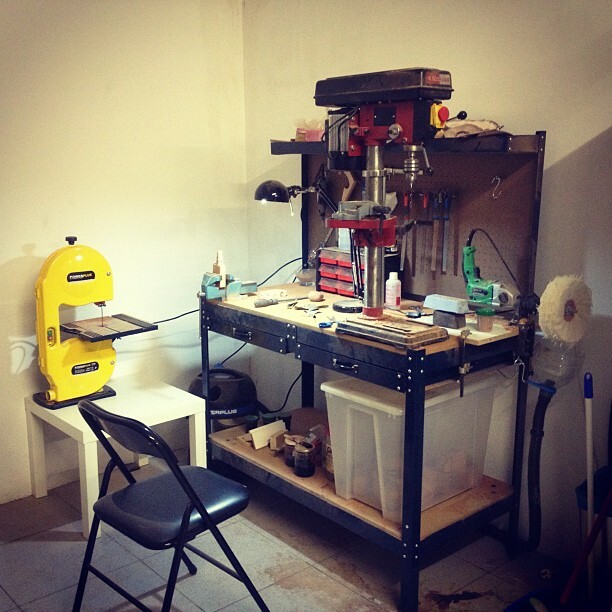 I upgraded my small workshop with a saw. A cheap one being honest. Hope it will work. Joan is smoking right now: Tom Spanu + Samuel Gawith Full Virginia Flake. Dublin. My first pipe from zero.